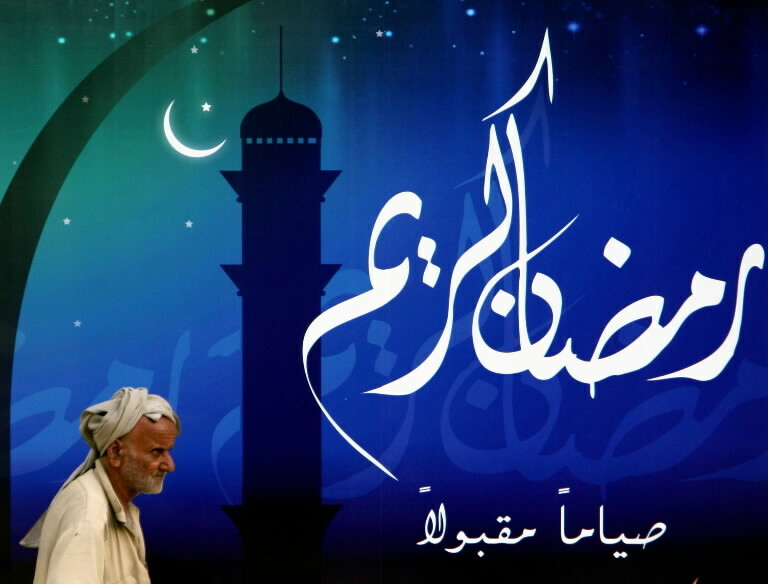 Muslims around the world have welcomed the holy month of Ramadan once again this year. Mosques and the Muslim mass media are resonating with the usual exhortations to fasting and extra prayers to earn maximum reward during the most blessed month of the Islamic calendar. I begin in the name of Allah, the most beneficent and the most merciful. Clearly, the Holy Quran is our guide to living our lives as Muslims. It is about praying, fasting and giving to the poor. However, it's clearly not just about Huqooq ul Allah. It's as much about Huqooq ul Ibad as it is about Huqooq ul Allah. What does respect for Huqooq ul Ibad mean in Pakistan's context? First, the respect for Huqooq ul Ibad means that we should respect the needs and the rights of our fellow human beings. Not just Muslims. But all humankind. The Quran (13:117) says "And We have sent you not but as a mercy for the 'Alameen" (all creation)". Our Prophet Muhammad (PBUH) came to us as "Rehmat ul lil Alameen", not just Rehmat ul lil Muslimeen. The first among these rights is the right to life. We must not accept or condone the taking of innocent human life under any circumstances. We must not sympathize with groups such as Al Qaeda and the Taliban who proudly take "credit" for killing innocent people. Second, the respect for Huqooq ul Ibad means that we must not steal, and yes, that includes stealing electricity. We must not "fix" our meters to avoid paying fully and honestly for what we owe to the electric company or any other utility companies. Please take seriously the ads such as the following from Peshawar Electric Supply Company: "Do your fasting, pay zakat (charitable donations) and serve your parents, but do these things by the light of legal electricity." Third, the respect for Huqooq ul Ibad means earning an honest living. We must not use fasting as an excuse for not doing an honest day's work for our employers. Breaking your fast with food or beverages that have not been honestly earned will void your fasting and prayers. Prophet Muhammad sought counsel with Christian monk Waraqa ibn Nawfal and protection for 90 of his persecuted followers by appealing to Negus, the Christian King of Abyssinia. Translation: "Surely those who believe, and those who are Jews, and the Christians, and the Sabians, whoever believes in God and the Last day and does good, they shall have their reward from their Lord, and there is no fear for them, nor shall they grieve"
Translation: For each one are successive [angels] before and behind him who protect him by the decree of Allah . Indeed, Allah will not change the condition of a people until they change what is in themselves. And when Allah intends for a people ill, there is no repelling it. And there is not for them besides Him any patron. Respecting Rights in Ramadan; Abbottabad Commission Report; BBC Documentary on Altaf Hussain from WBT TV on Vimeo. Thanks for sharing. Even though people generally read and nod their heads in affirmative but they go on with their lives as ususal and forget about what they just read. If just a few read and follow, that will be a big thing. If 1% of the audience in Friday prayers walk out of the masjid and retain and impliment the lessons given in the khutba every week, our societies would have been a lot cleaner than what we see or hear today. Unfortunately, People just complete the formalities and jestures and feel like their fraiz are done. May Allah give all of us toufeeq to follow the spirit of worship. Ali T:" Even though people generally read and nod their heads in affirmative but they go on with their lives as ususal and forget about what they just read"
People come to Jummah and listen to the Khutba with a mindless attitude. The first perspective is the person delivering the Khutba has no status, so why listen. Second, none of this is relevant to the current affairs or day to day stuff. Third, people are so overwhelmed with day-to-day stuff, they really don't pay attention, they are thinking of the next meeting, what problems to solve, which dinner to attend... The problem is on both sides, first Khutbas need to be relevant, just one or two points need to be addressed, should not be more than 10-15 minutes, they need to be informative, something about call to action etc. Similarly, on the people's side, people should have the ability to interact with the Imam later on with what has been said. Those are very beautiful words. Thank you. I am a Roman Catholic and see so many philosophical similarities. I once read that there are three levels in religion. At level #1 people do not do bad things because they fear punishment. At level #2 people do good things so that they can get rewards. At level #3 people do not think about rewards, they just do what is right. Many years ago I started to wonder whether God is bored by us in churches where we are toadying endlessly and asking for more money, a new house, a better job, a second car, and so on. Perhaps He is outside of the churches, lurking in the shadows observing whether we give a few rupees or dollars to a beggar or just walk by quickly. Well said! So true and apropos! Well said, Riaz -- ameen. For a few years now, I've been fantasizing that the mullah's should be advised (ordered?) to include 3 points in the weekly Friday khutba: (1). always speak the truth (2). be clean in person and in your environment (3). 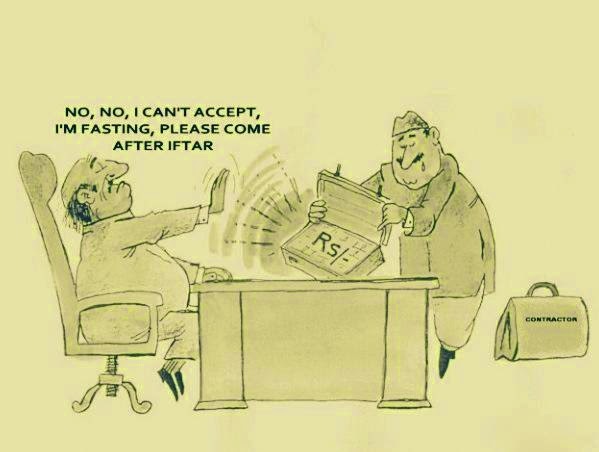 do not bribe, for any favors. Dude Riaz I agree with u..
Prophet Muhammad sought counsel with Christian monk Waraqa ibn Nawfal & protection for 90 of his persecuted followers by appealing to Negus, the Christian King of Abyssinia. "Surely those who believe, and those who are Jews, and the Christians, and the Sabians, whoever believes in God and the Last day and does good, they shall have their reward from their Lord, and there is no fear for them, nor shall they grieve"